According to worrying — if not terribly surprising — new research from the University of Buffalo, children raised by a father with an alcohol-use disorder may have a higher risk of being involved in abusive dating relationships once they hit their teens. 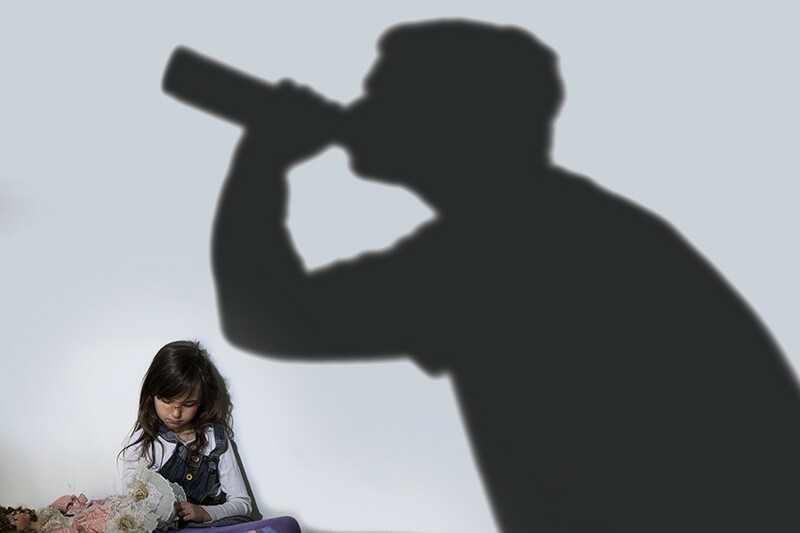 Led by Jennifer A. Livingston, a senior research scientist at the university’s Research Institute on Addictions, the study evaluated 144 teenagers who had fathers with an alcohol-use disorder, each of whom was initially recruited for study at 12 months of age. We recently spoke to Livingston about the study’s implications, and whether there’s anything parents can do to identify — and fix — aggressive behavior when it manifests at such an early age. What was the impetus behind the study? Were you trying to prove a specific hypothesis? We were trying to identify and understand the roots of dating violence. We chose this sample of kids with alcoholic fathers because we’d known from previous studies that they would be at high risk. In alcoholic relationships, both partners tend to be more depressed, and this interferes with their parenting behavior. We know from prior research that children who have parents that are warm and sensitive are less likely to be aggressive. In this study, we extended the age of our sample group to see if their aggression carried on through adolescence. The study looks at causes of “dating violence” — can you give us your definition for that term? We used a broad definition that included physical violence, which includes hitting and shoving. [It also includes] sexual aggression and emotional abuse — putting their partner down and calling them names. The emotional and psychological abuse represents the vast majority of dating violence, but that’s as devastating as physical violence. It shouldn’t be viewed as a milder form. What sort of early childhood experiences seem to lead to dating violence later in life? The stressor is the family unit. Dad has a drinking problem. Mom is stressed out. And this interferes with their ability to parent in a warm and sensitive way. Your study also found that the signs of future violent dating behavior could be seen in early childhood. What kind of signs did you see? I know you were focused on alcoholic fathers, but are the results the same when it’s the mother who has the problem? The original study tried to recruit mothers with drinking problems as well, but there are very few cases when the mother has a drinking problem and the father or partner does not. Still, I would predict something similar, because if the mother is an alcoholic, chances are she’s not going to have the ability to be warm and sensitive. Were there notable differences in the behaviors of the boy and girls in the study? We didn’t have a big enough sample to look at them separately. We tried to look at victimization versus perpetration and found that most of the relationships were characterized by mutual aggression. The correspondence between how many times each person in the relationship was violent to their partner was very high. Is there anything a parent can do to stop this from happening? We began studying our subjects at 12 months old, then again when they were 18. We found that parenting continues to be a really strong protective factor — in early childhood, maternal warmth is very critical. That’s why mothers with alcoholic partners could use support in their parenting behaviors. The other thing we found is that in adolescents, greater parental monitoring was associated with lower aggression: This included having open dialogues and checking in with your child. That type of monitoring helped reduce aggressive behavior and as a result, reduced dating violence. Essentially, parents can make a big difference by being warm, sensitive and aware of their kids’ activities.